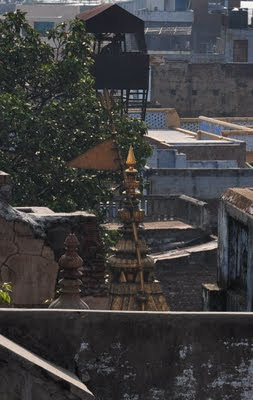 The Kashi Biswanath Temple is one of the 12 Jyotirlings. It was constructed in 1977 by Maharani Ahilyabai Holkar of Indore. Later Maharaja Ranjit Singh of Panjab had the top of the temple plated with about 820 Kg gold. For that it is also known as golden temple.